Aside from the truly horrific tragedy that has befallen Manchester last night, people all over the country are, quite rightly, talking about the importance of the upcoming snap election. Known for their socio-political commentary it’s no secret that Napalm Death are somewhat opposed to any type of ruling. As both May and Corbyn have been campaigning so have Napalm Death, returning for the first time in two years for a headline performance the band are positively top of their game currently. Not afraid of delivering a decisive opinion legendary frontman and Brummie local Barney Greenway, is among the many to be talking about the election. With so many of the prophetic paroles of their classic discography still ringing true some twenty years later, the man not only political nouse but the positive outlook for a better life. Releasing their absolutely astounding Apex Predator – Easy Meat two years ago the sentiment of the title couldn’t be more appropriate for the current times that we are in. Privatising of the NHS, bringing back fox hunting and even the sickening Dementia Tax are just some of the policies that the Tories want to implement. This is an ideal where the rich get richer and the poor get poorer, a perfect metaphor to the Apex Predator connotation. Seeing yesterday that 90,000 young people mobilised to have the right to vote, you could argue that this is one of the most important elections that we will get for quite a long time and people have indeed begun to wake up. It’s our chance to get Theresa May and the Tories well and truly out! 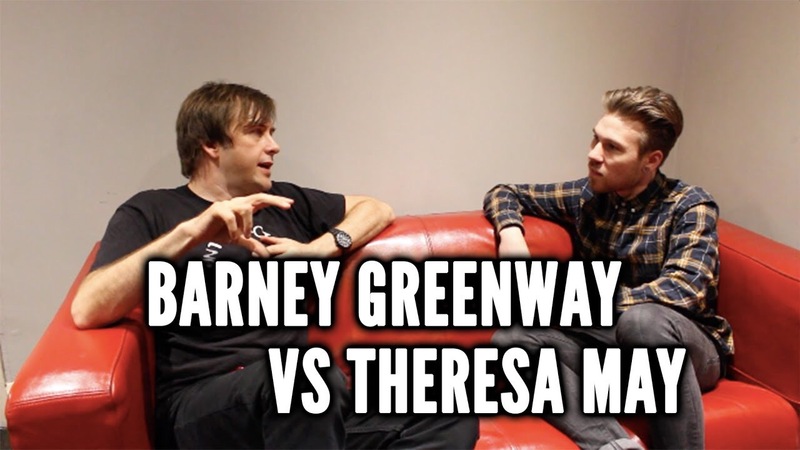 Sitting down with Barney prior to their London performance I was able to speak to the man about Theresa May and Corbyn, the classic Harmony Corruption and the man’s love of Prog! Napalm Death are currently on tour in Europe.